Home / Lifestyle & Opinion / Should the Drinking Age Be Lowered? Every two minutes a person is injured in a drunk driving crash. In addition to this, on average, two in three people will be involved in a drunk driving crash in their lifetime. About a quarter of car crashes with teenagers involve an underage drunk driver and every day, about 800 people are injured in a drunk driving crash. Why, with these repeating news stories of teen drunk driving incidents and the endless list of drunk driving accident statistics, do people still possess the desire to lower the legal drinking age to 18? It is clear that the drinking age should remain 21. For example, on July 16, 2017, 18-year-old, Obdulia Sanchez, got into a drunk driving accident resulting in the death of her younger sister. Her blood alcohol concentration level was at 0.10 and it is illegal in California for minors to have a 0.01 BAC level. According to the New York Post, she has been accused of manslaughter for killing her sister in the accident. This is just one of many teenage drunk driving accidents. With this immense amount of accidents alone, why would anyone want the legal drinking age to be lowered to 18? When will this be considered too much? 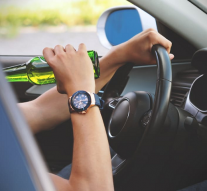 Even though, 18-year-olds are considered adults, lowering the legal drinking age to 18 will increase the chances of drunk driving incidents because there would be an increase in the amount of people drinking on the roads. Additionally, lowering the drinking age to 18 will allow younger crowds of children to expose themselves to alcohol. A Substance Use and Misuse survey shows that most 18-20 year olds obtain alcohol from their 21-24 year-old peers. As if easy access isn’t bad enough, now people want to lower the drinking age? Lowering the drinking age can worsen this accessibility issue. Now with 18 year olds being able to legally purchase alcohol, 18-21 year olds can become a source of alcohol for 15-17 year olds. Most seniors in high school reach the age of 18 prior to high school graduation. It is known across the nation that easy access to this neurotoxin is an urgent issue, but why do some people think that lowering the drinking age will be the solution to these problems? Secondly, lowering the legal drinking age from 21 to 18 years of age can expose an even younger crowd to the negative effects of alcohol. Alcohol is a neurotoxin. Neurotoxins damage the nervous system—including the human brain. The human brain does not become fully developed until ages ranging from early to late 20s. This toxin affects complex thinking areas and decision making skillsLowering the drinking age to 18 will allow alcohol’s detrimental effects to harm these underdeveloped teenage minds. Students are already being distracted and damaged enough by other factors, such as smartphones and spending long hours surfing the internet, so why should another damaging factor be added to the list? At what point is this list too long? These young teenagers, who have undeveloped minds should not have even easier access to a substance that damages their growing minds. Lowering the legal drinking age of the United States from the age of 21 to 18 years old can cause younger populations to be affected by alcohol. By consuming alcohol, these younger populations will negatively affect their decision making skills and may cause more drunk driving accidents in the United States. The drinking age must not be lowered to allow alcohol’s damaging effects to reach youthful minds across the nation. Why do people assume that lowering the drinking age to 18 will resolve the issues of teen drunk driving? The people who believe that lowering the drinking age to 18 will fix issues such as these need to wake up. Lowering the drinking age to 18 will not magically solve our country’s alcohol related issues. What’s the Beef with Lab-Grown Meat?